"Nobody Wins When Nobody Plays" is Ty Tabor's seventh studio release, featuring twelve new tracks. "Nobody Wins When Nobody Plays" showcases what everyone loves and expects from Tabor: guitar-laden rock and pop with beautiful melodies. Contains the singles, "Senseless Paranoia," "Tripped Inside Again," and "Listen." 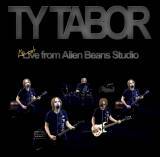 This is the companion audio for Ty Tabor's recently released DVD, "Almost Live from Alien Beans Studio", which is the first-ever DVD release from Ty Tabor. 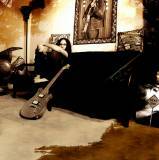 With a well stocked arsenal of guitars and amps, Ty takes you through several deep cuts spanning his nearly 20 year solo career. On "Almost Live from Alien Beans Studio" Ty performs live in the studio, accompanying himself with full instrumentation. Each track is recorded "live". 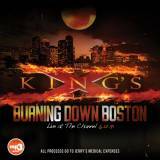 "Burning Down Boston: Live at The Channel 6.12.91" is a special MP3 download-only title. As many of you are aware, King's X drummer Jerry Gaskill suffered a serious heart attack in the early morning hours on Sunday 2.26.12. Many of you have overwhelmingly expressed a desire to help and contribute. We have compiled this exclusive live release from the archives -- and 100% of the proceeds from this release will go directly to Jerry to help offset mounting medical expenses. A big THANK YOU goes out to everyone for the outpouring of concern and love. This release was edited and mastered from a stereo FOH recording. While the audio is far from perfect sonically, the performance documents yet another magical night on tour while supporting the "Faith Hope Love" album. While many of the song titles are familiar, the band expands many of the cuts featured here, including performances that are blistering ("Moanjam"),heavy and funk-laden ("We Are Finding Who We Are"), beautiful ("The Burning Down"), and truly transcendental ("Over My Head"). Dear Friends, in addition to the gift with this download, please let anyone who wants to further make a personal gift to Jerry to help him with his medical bills know that they can send a check made out to Jerry Gaskill. Mail it to: Jerry Gaskill, c/o World Entertainment Inc., P.O. Box 3095, Sea Bright, NJ 07760. 100% of your gift goes to Jerry Gaskill to help him defray his medical bills. Jerry Gaskill is an individual and not a charity. Any funds given to him would be a gift and no further tax deduction for charitable contributions would be coming from him. We appreciate your help. 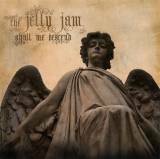 "Shall We Descend" is the brand-new, third album by The Jelly Jam. This trio is comprised of Ty Tabor (King's X), John Myung (Dream Theater) and Rod Morgenstein (Dixie Dregs/Winger). "Shall We Descend" is the long-awaited follow up to "2" (originally released in 2004). This album is heavy, cohesive, and sure to please fans of this great band. Features the first single, "Who's Comin' Now" as well as gems such as "Halos in Hell" and "Stay Together." 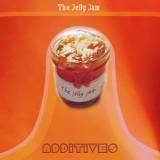 "Additives" is a special fan-package for fans of The Jelly Jam! * Previously unheard audio from the practice sessions that yielded the 2nd album. * Complete STEM mixes for the song, "I Can't Help You" (album version on the debut album). Stem mixes are hi-res stereo MP3 files with isolated vocals and instrument reduction tracks. Anyone with basic digital audio editing software can virtually remix the entire song. Hear the individual performances of each band member. Have fun, add your own parts, etc. along with the band! * Also included in "Additives" are 4 Ringtones of Jelly Jam tunes. Each ringtone is included as a *M4R (Ringtone) file as well as an MP3 file. 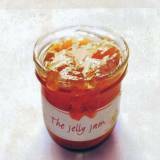 Molken Music is proud to re-release the sophomore album by The Jelly Jam. This supergroup trio is comprised of Ty Tabor (King's X), John Myung (Dream Theater) and Rod Morgenstein (Dixie Dregs). "2" was originally released in 2004 and features favorites such as "Drop the Gun/Allison," "Not Today" and many more! Molken Music is proud to re-release the self-titled, debut album by The Jelly Jam. This supergroup trio is comprised of Ty Tabor (King's X), John Myung (Dream Theater) and Rod Morgenstein (Dixie Dregs). 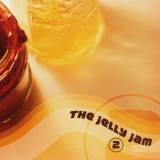 "The Jelly Jam" was originally released in 2002 and features favorites such as "Nature's Girl" and "I Am the King." 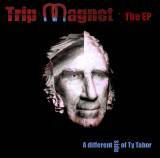 "The EP" is the brand new, MP3 download-only release from Ty Tabor's new project, Trip Magnet. 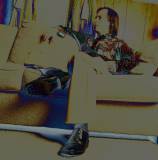 This is a different side of Ty Tabor...somewhere between Xenuphobe and his regular studio/solo albums. For a melancholy trip into freakatude, check out Ty's seventh solo release. An unusual outing for Ty Tabor, this release contains over fourteen minutes of instrumental music, as well as Ty's most thought-provoking lyrics yet. 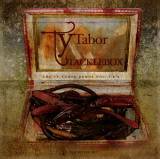 "Something's Coming" is Ty Tabor's brand-new, sixth studio release, featuring eleven new tracks. This album showcases some of Ty's best songwriting since "Ear Candy." Fans of Tabor's heavy guitar are sure to be satisfied with "Something's Coming." Contains the singles, "Bring It On Back," "Politician's Creed," and "Free Yourself." 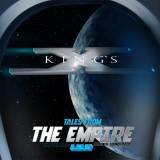 "Tales from the Empire" is a two CD set, originally recorded live on 6/26/92 at the Empire Concert Club in Cleveland, OH. This show is touted as the finest performance during their 1992 U.S. tour and also ranks as one of the most legendary shows ever given by this band. The concert was originally broadcast over the FM airwaves, courtesy of WMMS-Cleveland. However, "Tales from the Empire" was taken from the band's own, "pre-radio-airwaves compression" master, complete with a new digital remaster. 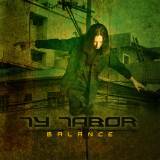 Ty Tabor unveils his epic, fifth studio release, "Balance," featuring eleven new tracks. The legendary guitarist from King's X returns with his follow-up to "Rock Garden." On "Balance," Tabor bolsters his catalog with some of his heaviest and most beautiful gems yet. This new album perfectly balances songwriting craftsmanship with captivating guitars that legions of fans know and love. Features appearances by Randy St. John (drums), Wally Farkas (guitar), Alan Doss (pedal steel). 11 songs. 52 minutes. 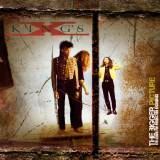 Recorded in October 1991 by King's X. "The Bigger Picture" features the original band demos for their classic, self-titled 4th album, using the same instruments and sounds used to create the officially released version. "The Bigger Picture (4th Album Pre-Production Recordings)" shows just how well rehearsed and prepared they were when they hit the studio to record the legendary 4th album. 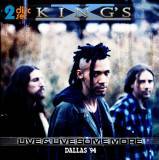 Ty Tabor's original multitrack demos for KING'S X. Deluxe 2 CD set. 30 tracks in all. 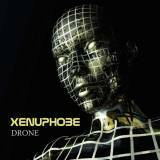 Includes three songs previously unavailable and the legendary demo for "Pleiades." Digitally remastered. Two full hours of music plus bonus audio commentary. One of King's X's most legendary performances. Recorded in 1994 in Dallas, TX on the "Dogman" Tour. Extended versions of classics "Over My Head," "Cigarettes," and "Moanjam." Limited edition deluxe 2 CD set. 16 songs. 98 minutes. Digitally remastered.